Director: Chuck Konzelman, Cary SolomonWriters: Cary Solomon, Chuck KonzelmanStars: Ashley Bratcher, Brooks Ryan, Robia ScottSummary: As one of the youngest Planned Parenthood clinic directors in the nation, Abby Johnson was involved in upwards of 22,000 abortions and counseled countless women on their reproductive choices. Her passion surrounding a woman's right to choose led her to become a spokesperson for Planned Parenthood, fighting to enact legislation for the cause she so deeply believed in. 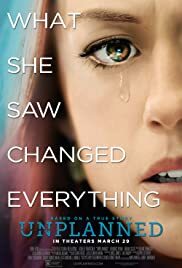 Until the day she saw something that changed everything.